Not sure what to ask Dray? Don’t worry! 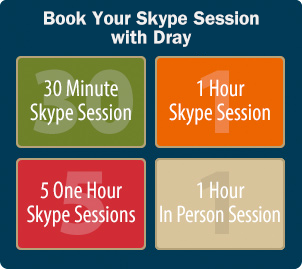 The following FAQs are to help you understand the type of questions you can ask Dray during your PRIVATE SKYPE VIDEO SESSION. How do I know if my child has talent? How do I know if my child is really serious about acting? What if my child is talented but scared and sometimes shy? How important are acting lessons and what’s the best strategy for training? What type of acting classes should my child take? If my child is an actor, why should they take singing or dancing lessons? If my child is a singer, why should they take acting or dancing lessons? If my child is a dancer, why should they take singing or acting lessons? Which classes are truly valuable and a good investment? What does a “boot camp” provide? Are they worth the money? What can I do locally to train my child and prepare them for the next steps? How can I help my child be a better comic actor? My child has a bad habit of saying “ya know.” Will that make a difference? What is a “headshot” and what are the key elements of a great headshot? What sort of time commitment will be required for me and my child? What role does the parent have in this journey? How do I keep this journey “healthy” for my child and my family? Do we have to move to LA? Where can we find material like monologues and scenes? What do I do if my child decides they don’t want to pursue a career in show business? 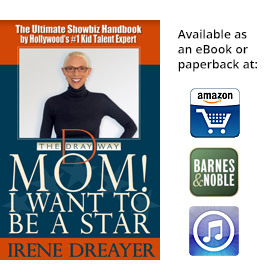 What do I do if I don’t want my child to pursue a career in show business? When should my child start auditioning for roles? What is an audition like for a TV show or commercial? Should I dress for the part? Should my child try to look older or younger? Do casting directors care if my child has a nose piercing? How many people will be auditioning? Will my parents be allowed to watch? Should I introduce myself before I start? Do I need to memorize the lines? They sent me the sides (the script with your lines) but they don’t explain the character, what do I do? Can you help me be funnier? Be more dramatic? Who does my child look at when auditioning for a role? 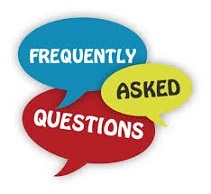 Does my child get to ask questions in the audition about the character? How can I help my child stay grounded and confident in a pressured audition process? If I am in the room with my child during an audition, what do I do and not do? If my child messes up a line in an audition, should they correct it or just continue? In an audition, if my child does not perform as well as they are capable of, do casting directors give kids a second chance? Should my child laugh at their own funny lines? Should my child act out their lines or their song with gestures? How important is eye contact in an audition or meeting? How can I stop my child from being unfocused and distracted in an audition? Why are all the kids so different looking at some auditions? How do I shake the nerves and some of my nervous habits? If I goof up, can I start over? If my child is sick, do I still take them to the audition? How important is it for us to move to LA? What are the chances of my child getting a job? How much time is involved for auditions and advanced training? Who is the best person to coach my child before an audition? How do parents stop from being nervous? How can I stop my child from being unfocused and distracted in a meeting? My child doesn’t get nervous when they perform, but is so nervous when producers and casting directors ask personal questions. How can they practice these unscripted lines? How do you know if a line is supposed to be funny? If my child forgets a line or says a line incorrectly on set, should I correct them? What does “listen in character” mean? How important are stage directions? What does “take direction” mean? Why does it take so long to get a role? What should I expect if my child gets a role on a series that has been on the air for a while? What about schooling if my child gets a part on a movie or series? What happens when my child doesn’t get the job? How do I help my child deal with the inevitable rejection in the business? After my child gets a role, how do I prepare them for a show’s cancellation? What does an agent do and when do we need one? What does a personal manager do and when do we need one? How do we go about getting a reputable agent and manager? Do we need to hire a publicist? Do we need to hire a stylist? Do we need to hire a business manager? How do I handle my child’s finances: income, expenses, commissions, etc? Can my child and my family spend any of the money my child makes? Do celebrities get in trouble just to be in the news?